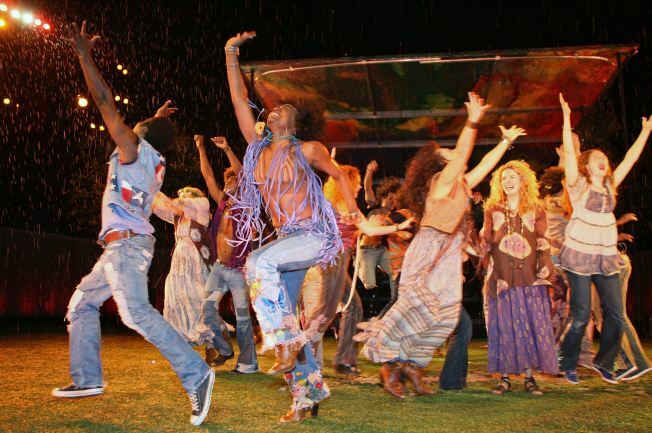 "Hair" which played Shakespeare in the Park this past summer, has transferred to Broadway. "Hair" is the latest Broadway show to offer a daily lottery for its cheapest seats. The hippie-era musical, which begins previews on Broadway today, will hold a lottery two hours before every performance to sell $25 box seats. Each lottery winner can buy up to two tickets at the box office of the Al Hirschfeld Theater, which is located at 302 W. 45th St..
Other Broadway shows hold lotteries for their cheap seats. "West Side Story" sells 18 front-row seats for $26.50 at each performance. The "West Side Story" lottery takes place at the Palace Theatre, 1564 Broadway. The "Shrek" lottery, also $26.50, will get you partial-view seats. The "Shrek" lottery is actually held at the M&M Store in Times Square.